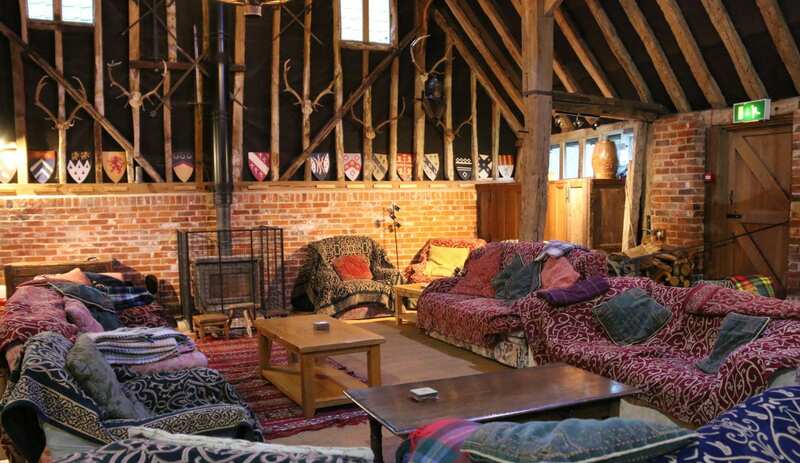 The Tudor Barn provides a very unusual Suffolk hostel location, off the beaten track, but accessible from London, the north and west by train. 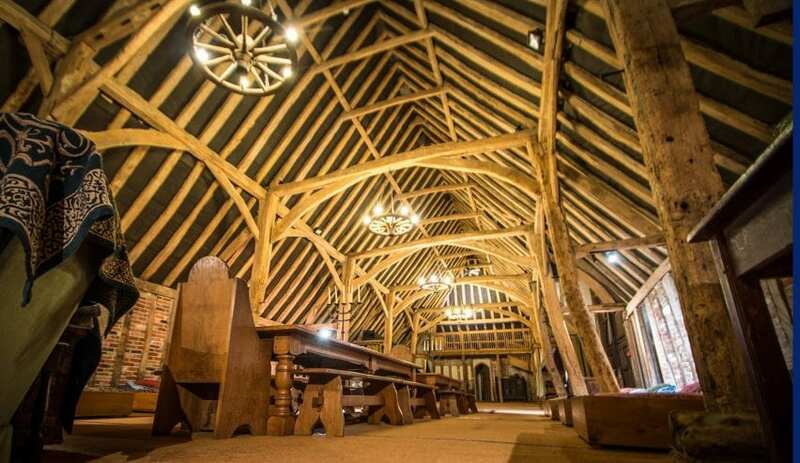 The barn sleeps 23 in four private bedrooms and in the huge, open plan 16th century barn where you can also feast together at long oak banquet tables, relax in the large sitting area and in the winter gather around the roaring woodburner. You can sleep in singles, doubles, Tudor four-posters and truckle beds. Huge, well-kitted out kitchen. Two bathrooms, four showers and seven more WCs. 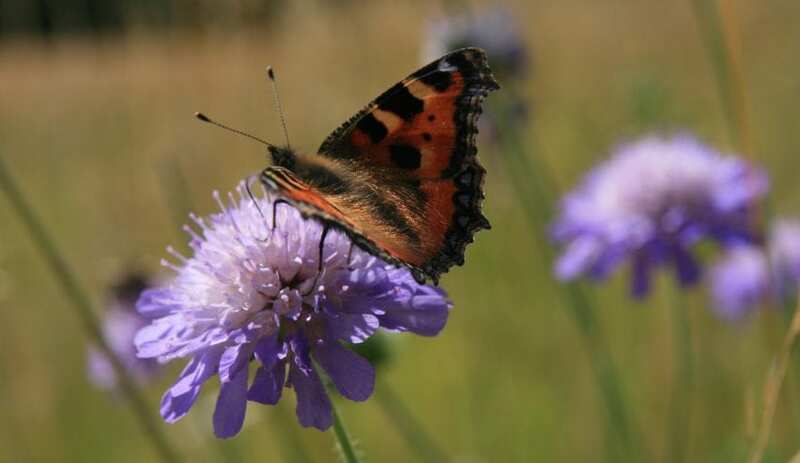 Friends, walkers, cyclists, can get together in spacious, beautiful, ancient and unspoiled surroundings, amidst the mixed farm landscape with hedges, old meadows, woodland and ponds. 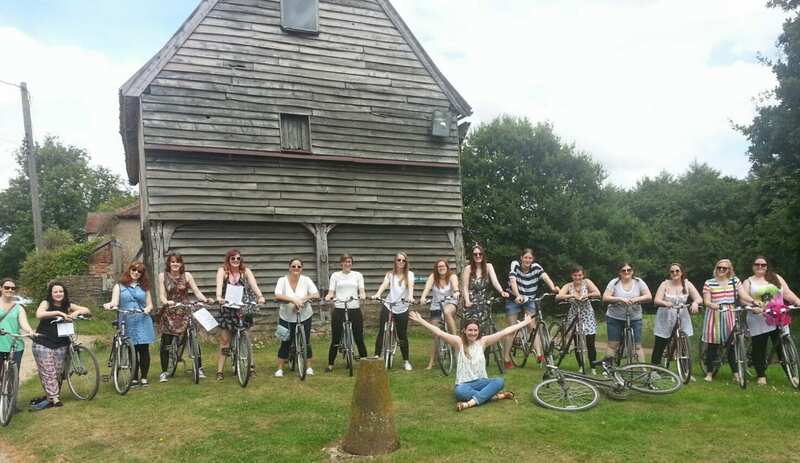 At Milden you can bring your own bikes, or borrow the 23 adult road bikes, and explore the local Wool Town villages on the quiet country roads of the South Suffolk Cycle Route and Constable Country or go kayaking down the River Stour. 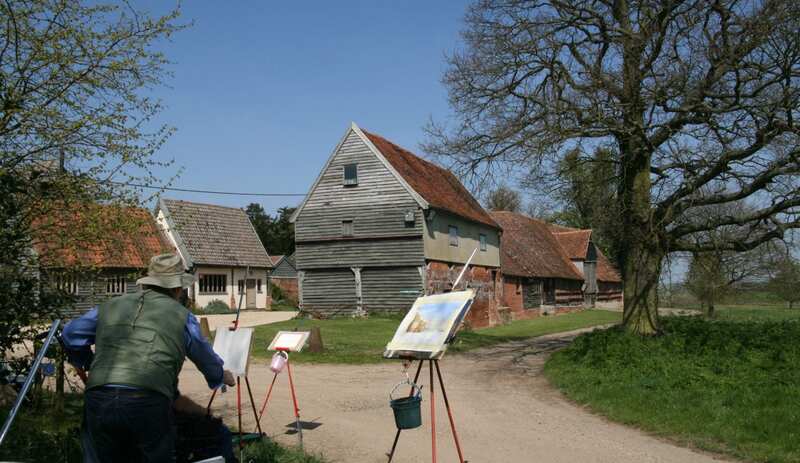 Alternatively go further afield to the Suffolk coast or explore historic houses closer to home. 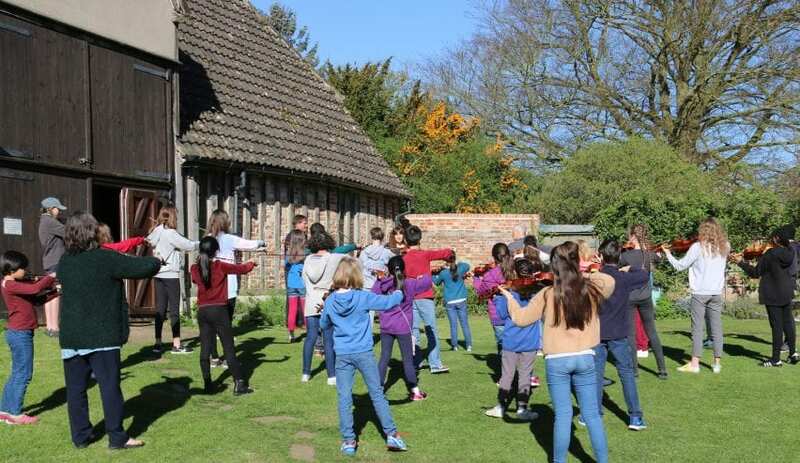 However, many that stay don’t go far .... they walk, run, hug trees, pond dip, read, lie about, play tennis, croquet or ping-pong, draw, paint, sing, play rounders and picnic on the farm. Some even borrow our costumes and dress up for a Tudor evening, feasting and making merry Tudor style. 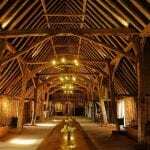 The barn is surrounded by more historic buildings including the Grade II* Milden Hall farmhouse with extra rooms, another large ancient barn and a modest museum. Bantams scratch about amongst the herbs, two farmyard pigs grunt contentedly, lambs skip in the spring, newts swim in the ponds, yellowhammers sing from the hedges. 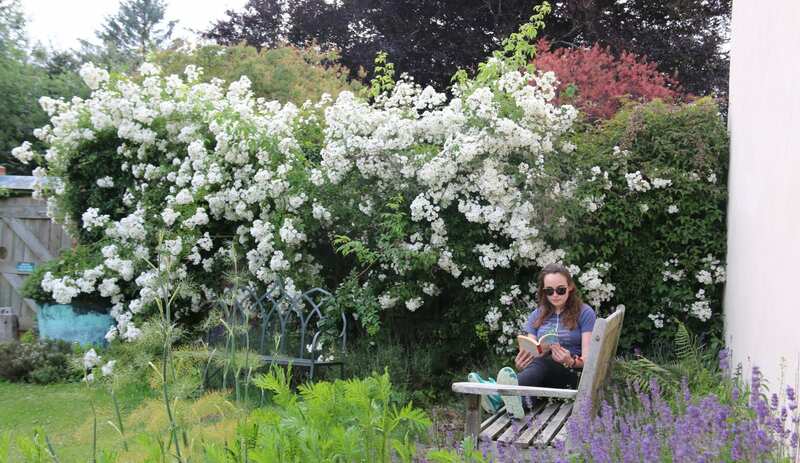 Come and visit this enchanting and historic spot in rural Suffolk, you will be made very welcome. Larger parties can also stay at the Old Brooder Bunkhouse on the same site (also featured on this website). Up to two well behaved dogs welcome by arrangement. This accommodation is featured on our map of South of England and South East England and here is its own website. W/ends: 2nt £1,500 to £2,640. 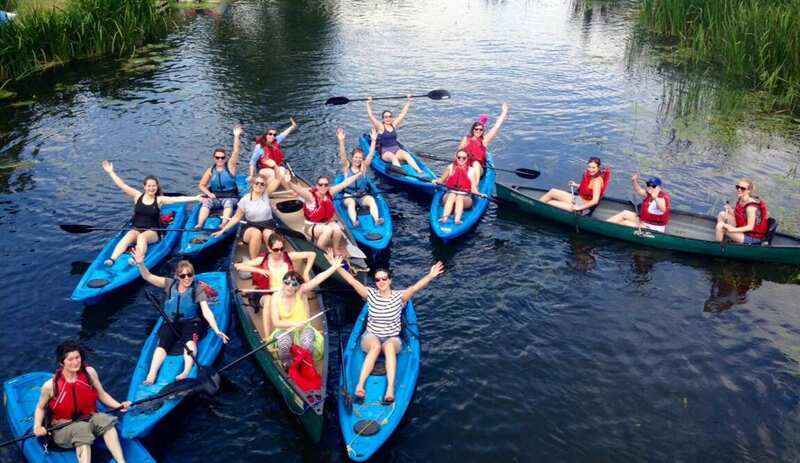 2nt midweek £1,150 ask for quotes for small groups/1 night stays. By email or telephone, non refundable deposit required. 0.6 mile farm drive is opposite telephone box in village of Milden, fork right in farm yard, barn car park on left. Or ... 0.3 mile front drive on sharp bend (and quite easy to miss, especially in the dark) on the B1115 between Milden crossroads and Little Waldingfield village. Train: from south to Sudbury (15mins) change at Marks Tey on Liverpool St-Colchester line, from north and west to Bury St Edmunds (25 mins). This accommodation allows dogs by arrangement, is available only to groups, gives a Best Price Guarantee, is an 'Eco Hostel', has a pub within walking distance and is on the Luxury Barn page. You won’t have stayed anywhere like this before. Turn back the centuries and treat yourself, your friends and family to a few days in the magnificent Tudor Hall. Sleep in tudor style beds, feast at the banqueting table, relax by the roaring log burner and idle the day away in the idyllic Suffolk countryside. 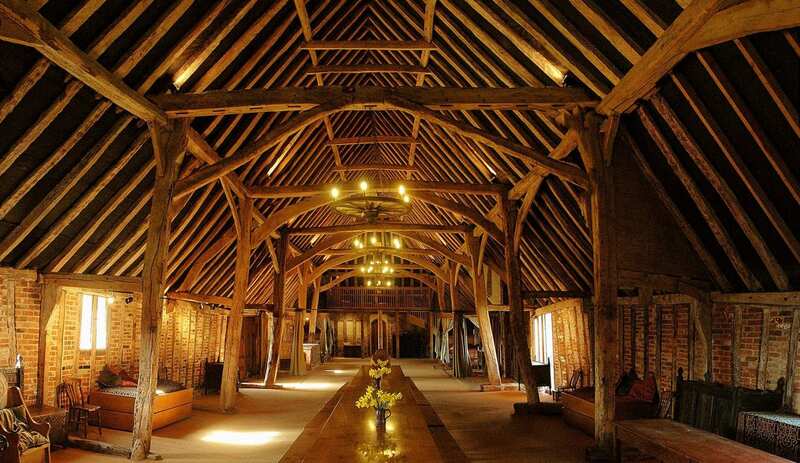 Tudor Hall is part of the medieval Milden Hall farm complex. Groups of up to 23 can indulge themselves in a stay at this utterly unique hostel. 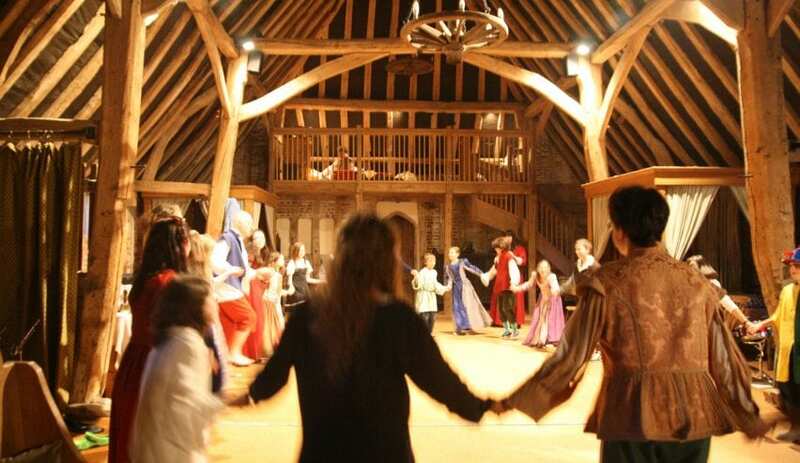 The huge 16th century timbered hall serves as your banqueting hall and your tudor dormitory. There are also 3 private rooms. Beds are tudor style, so no modern bunks, but rather sturdy handcrafted singles, doubles, four posters and truckles. Costumes are available if you fancy a tudor feast and a local chef can be booked to cook for you. Life is too short to always say no. Dare to do something different!